Shopping for Star Wars Plush? Decorate your couch, desk, or bedroom with the grumpy Astromech Droid featured on the animated TV series Star Wars Rebels! This Star Wars Rebels Chopper 7 1/2-Inch Plush features C1-10P, the agitated, cantankerous, and stubborn Astromech Droid who seems to care little for the beings he has to work with. 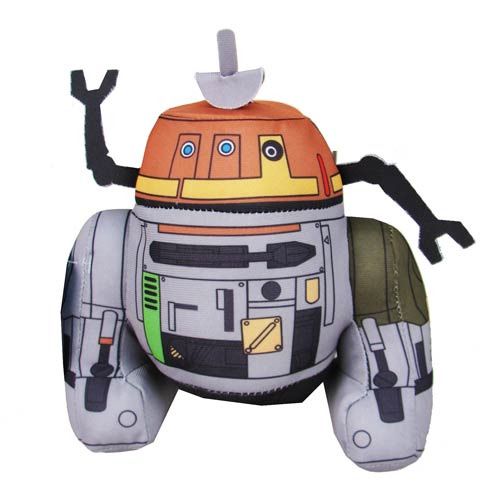 Add to your Star Wars collection with this must-have collectible Chopper plush! Ages 4 and up.